A group of women meet at the church in the choir room each Monday 4:30-6:00 pm. They knit shawls at home and during the meeting time. As the shawls are made there is prayer about who will receive the shawl. Finished shawls are prayed over. Then the shawls go to individuals that are in pain, have lost a loved one, or even joyful occasions. At this point they have given away over 300 shawls. Each one is given with a prayer for the recipient. 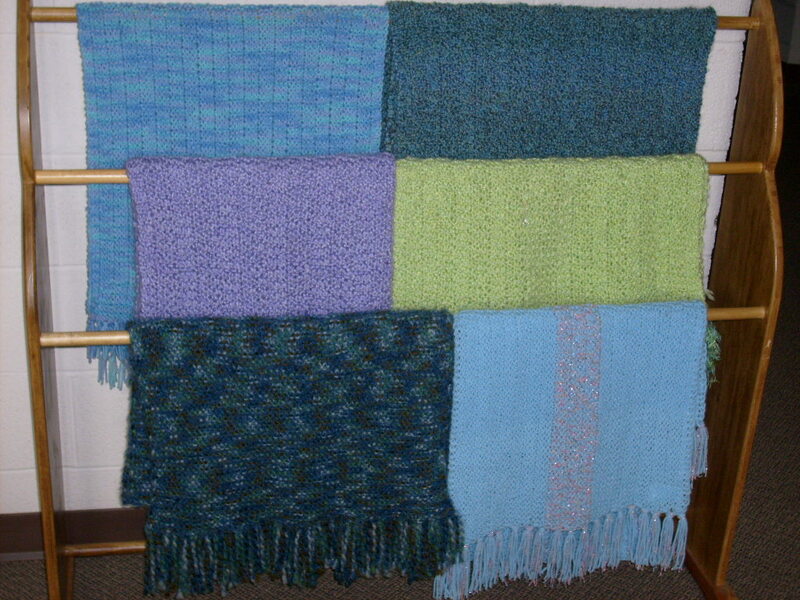 The group displays current shawls in the hall on a rack made for them by Jim Brooks. They received a citation from the Patriot Guard Riders who have presented several to military widows. The group is always accepting new members.